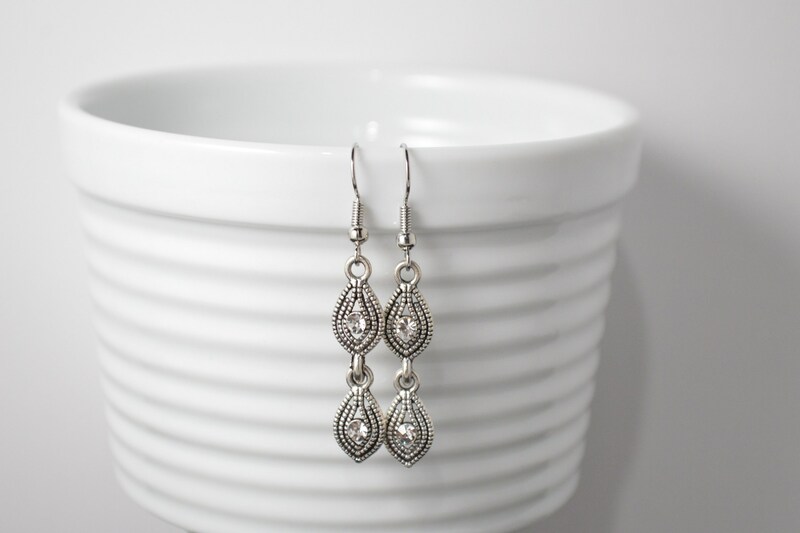 These vintage inspired earrings are sleek and sophisticated. 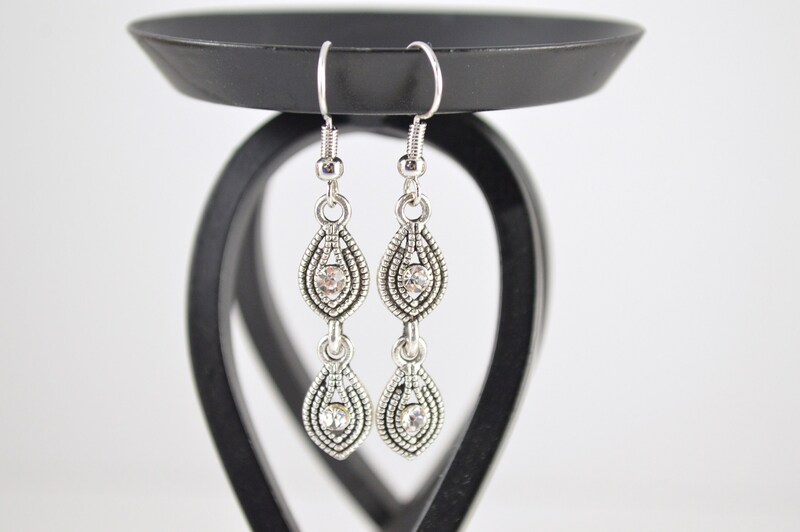 The rhinestone added to the center of each of the 2 drops add just the right amount of spark to this piece. 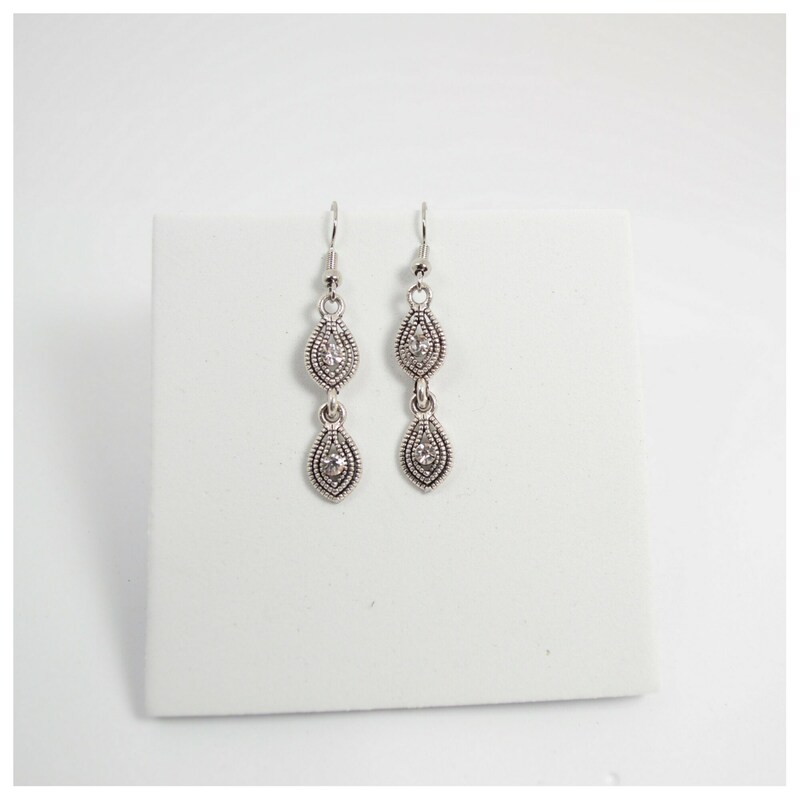 I particularly love how they flow freely. 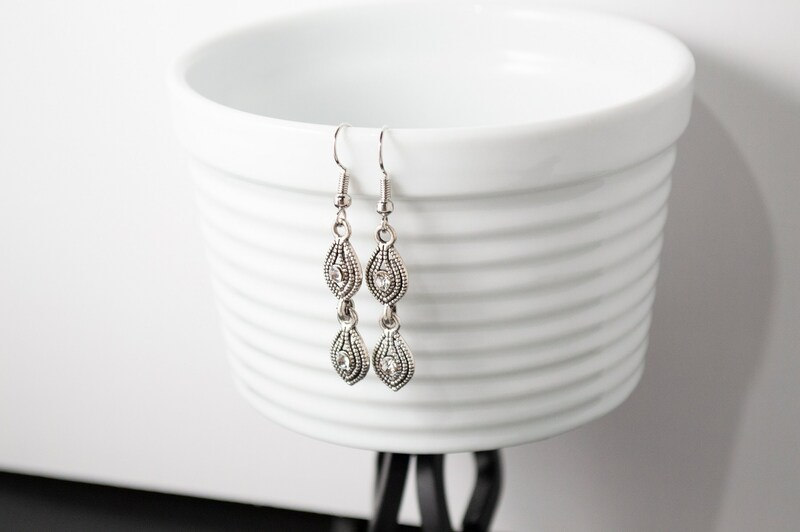 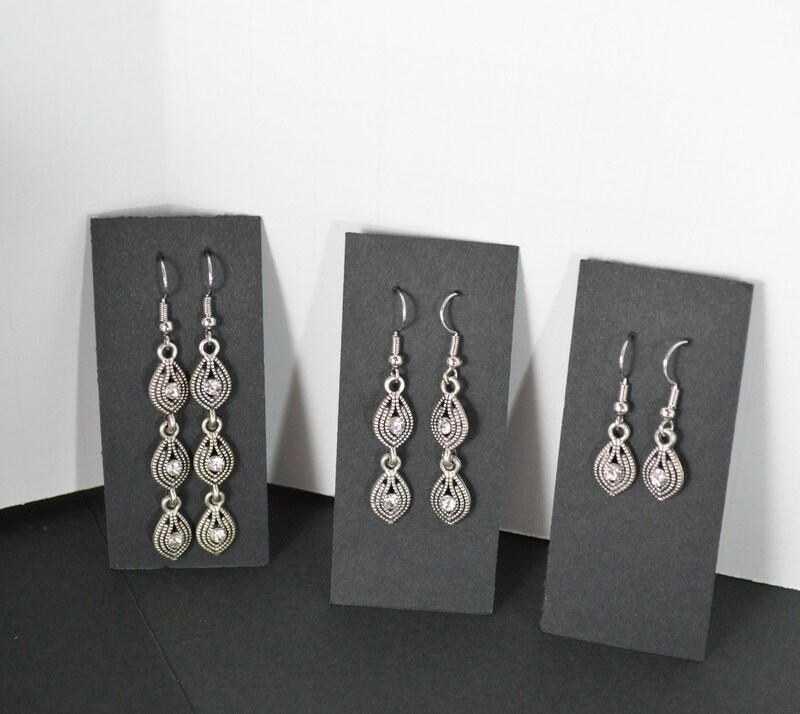 No doubt these dangle earrings look great with black but try them with green (my favorite) or any color in your closet! 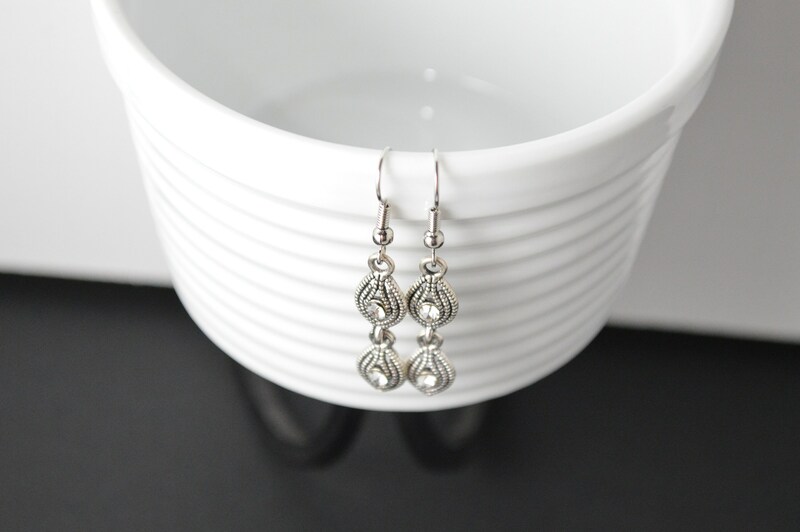 *These earrings measure approximately 1.75"